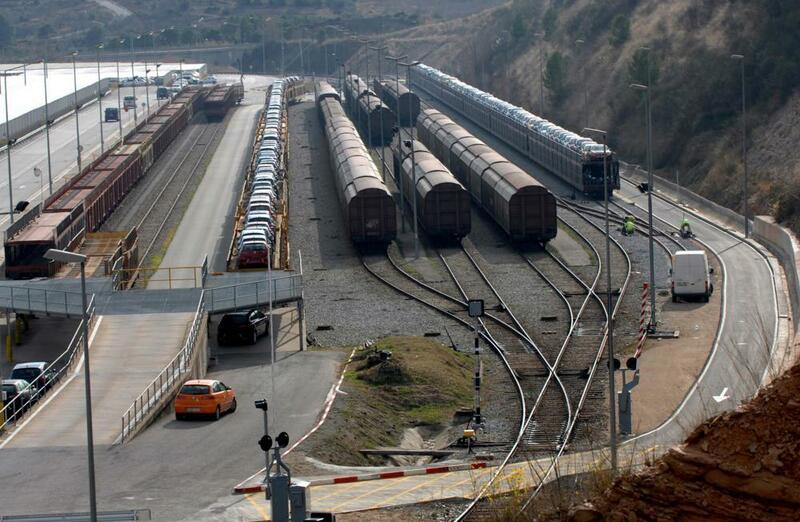 Road and rail access to the Port of Barcelona, a key element in the development of the Mediterranean Corridor. 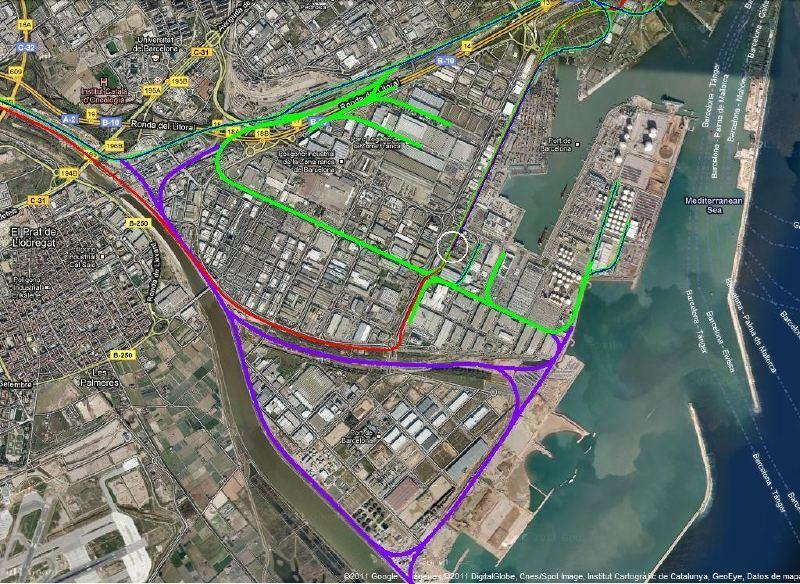 - To give access for road and rail transport modes to the southern extension of the Port of Barcelona. Once the first phase of the southern extension of the Port of Barcelona has entered into service, the corresponding road and above all rail (mixed width) connections become necessary to link them to the main goods transport routes. This is an issue of capital importance to maintain the competitiveness of this important infrastructure. Currently there is a provisional access functioning for international goods tansport with a standard European width, but the port will not be able to operate with the expected performance until the definitive accesses are completed. Road access: three sections are distinguished. The first consists of an increase in the capacity of the Ronda Litoral through the construction of a new lane on both carriageways, from where it passes over the A-2 dual carriageway to the new interchange at L’Hospitalet. The second section is a dual carriageway between the L’Hospitalet junction and the crossroads with the C-31 dual carriageway. Next the third section starts with a viaduct with two carriageways to cross the port’s Zona Franca on the left bank of the Llobregat River, until past the bridge at Mercabarna, where the layout continues along the old riverbed to connect with the future entrances to the port. At present, the works have been awarded and it is envisaged that their execution will begin during 2015. Rail access: in a first phase a single track with a mixed gauge (Iberian and European standard) will be executed as the connection for the transit of goods accessing the extension of the port of Barcelona. This new railway access is divided into different projects, and after their approval it will be possible to continue with the tender for the works. Railway terminals: now the new terminal at the Prat wharf is in service, the tender for the works to complete its functionality is already under way. What remains pending is the impetus for a new terminal on the old Llobregat River bed. The estimated investment for the new railway access is €108.07 M.